The outstanding Fitzwilliam Quartet return to Benslow Music to deliver another of their excellent courses. 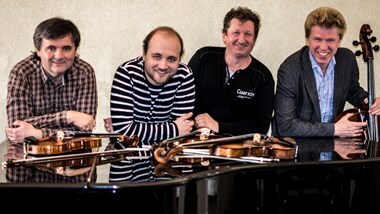 Once again we welcome applications from pre-formed string quartets, each of which will receive friendly, individually tailored tutoring from each member of the quartet. There's also a public recital which takes place on the Friday at 8pm and entry is included as part of the course package.